With Wix Video, you can upload 30 minutes of video content. 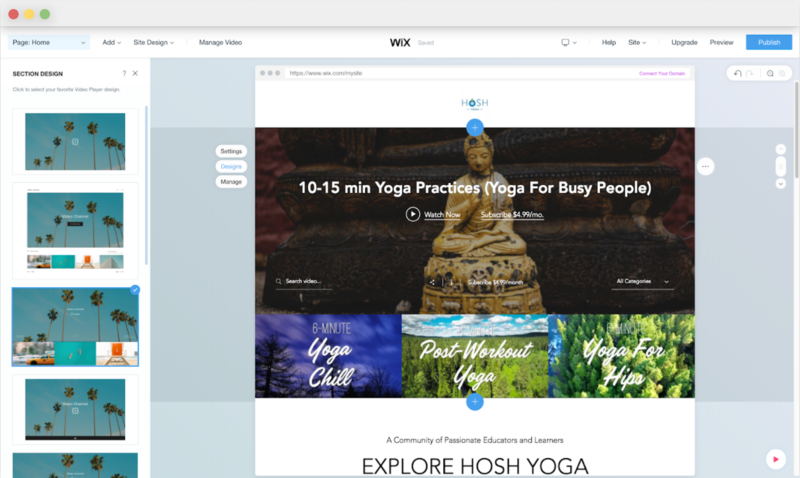 Once you exceed the limit, your videos will still be saved in your Wix Video library and you'll be able to edit and organize them into channels. Keep in mind, your visitors won't be able to watch these videos unless you upgrade to a Wix Video Premium Plan with the hours you need. Now when you're managing one of your video channels, you can quickly do actions for a specific video. For example, edit the video's info, set the time you want to publish it, remove it from the channel and more. Now you can create a professional website for your videos with Wix ADI. Instantly get a professional website made for you with Wix Video built in, so you can start showcasing your videos right away. Create a conversation around your videos by letting viewers make comments. 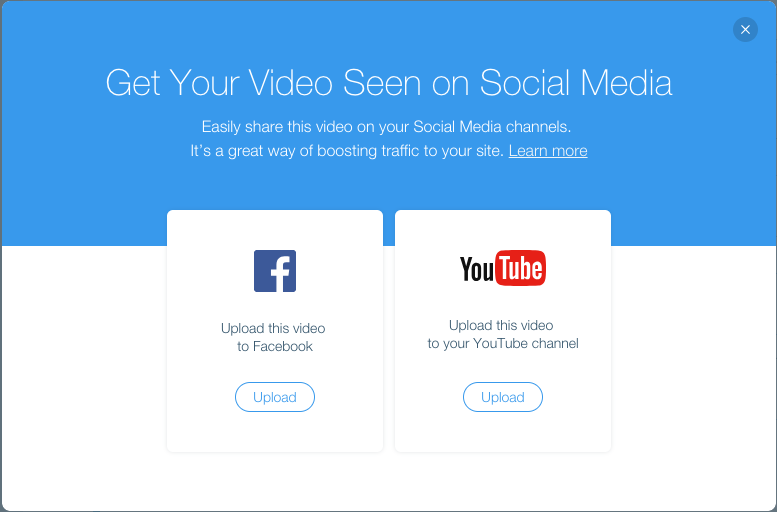 Instantly upload your videos to YouTube and Facebook through Wix Video—from previews and trailers to full videos. Customize the look of your expanded view, present video descriptions next to your videos, showcase other videos in the channel and more. Plus, when you add videos from YouTube, Vimeo and Facebook, Wix Video will automatically post your video descriptions, categories and tags - keeping content fresh on your site. Get your visitors to take action - right from your videos. Add clickable action cards to videos to promote your products and services, grow your social following and so much more. Learn more.